An orangutan and her baby. 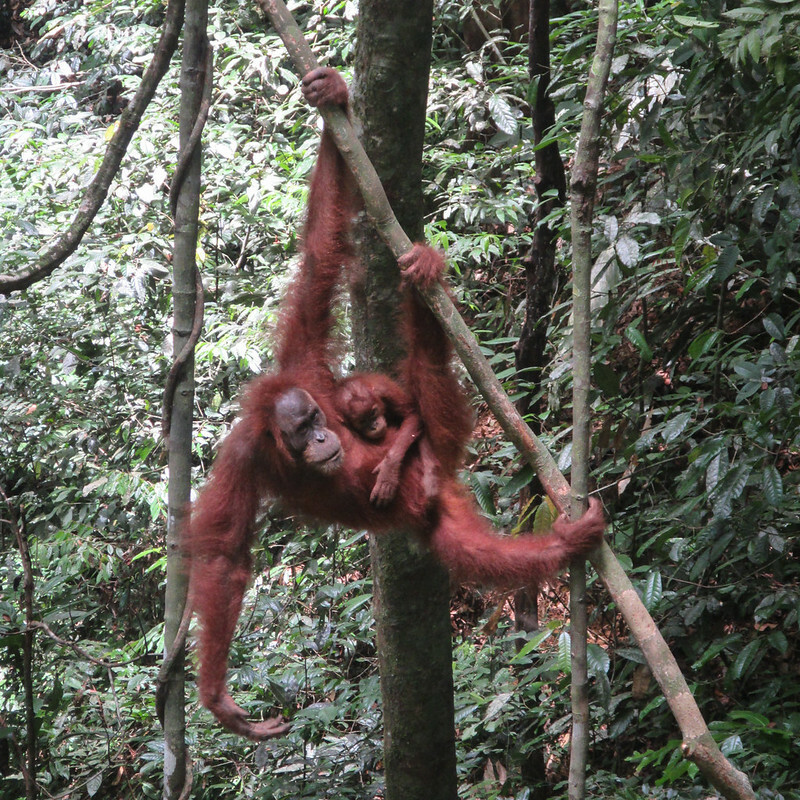 We’re not jungle people, but we hadn’t done much naturing lately so we decided to immerse ourselves in it by going to the jungles of Sumatra in search of orangutans and other wild animals. As mentally prepared for malarial mosquitoes and lunging leeches as we could be, N and I decided to visit Gunung Leuser National Park in northern Sumatra. We arrived in Medan and spent a few days hanging out in a mall there, recovering from stomach issues we got on our way out of Penang. 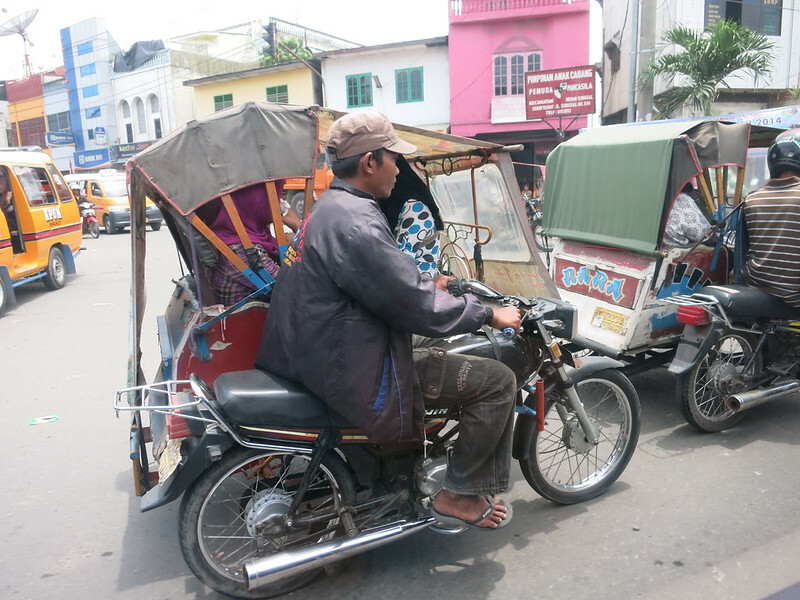 Medan proved to be a pretty crappy city (to put it nicely), with nothing interesting to see or do. The traffic and pollution are horrible there, making it nearly impossible to go anywhere anyway. So we spent too much time at Centre Point, a new mall near our hotel, and ate at the mediocre restaurants and wandered around it. 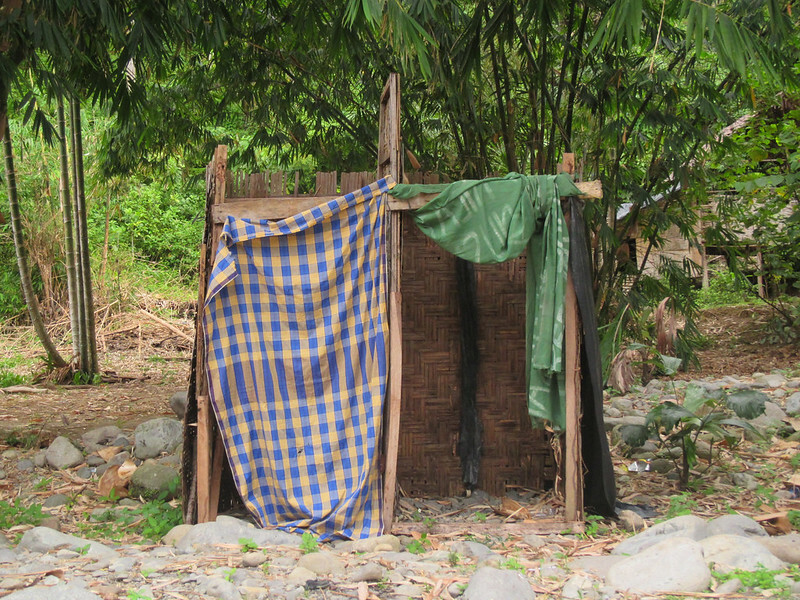 To say the least, it wasn’t a good first impression of Indonesia. 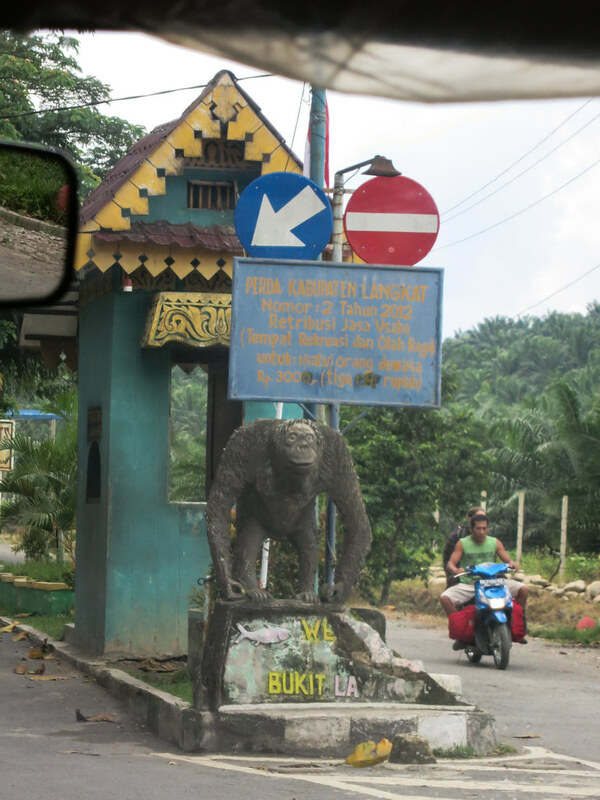 Because we heard horror stories about minibuses in Indonesia (and driving in general), we took a private car to Bukit Lawang for $45 instead of the minibus fare of about $6 per person. 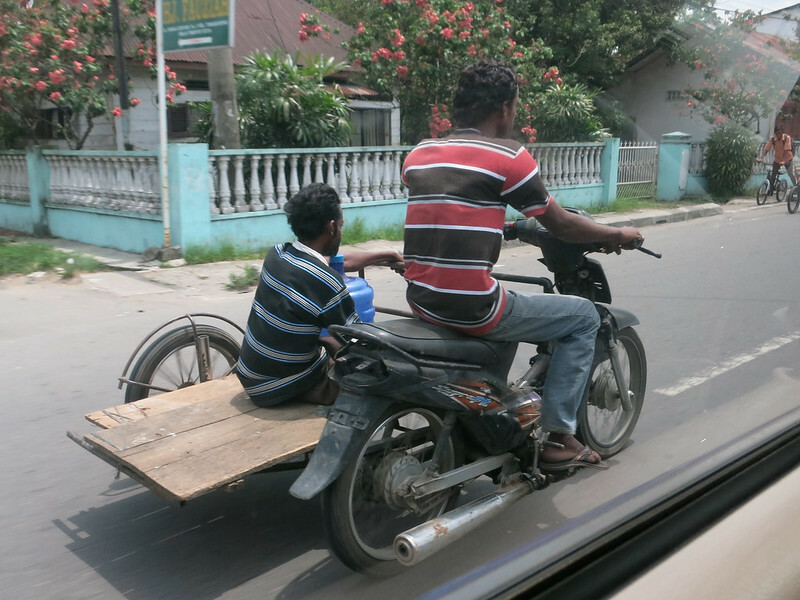 A bit of a splurge, but we’re fancy like that, and we had promised ourselves to spend a little bit more on safer modes of transportations while in Indonesia. 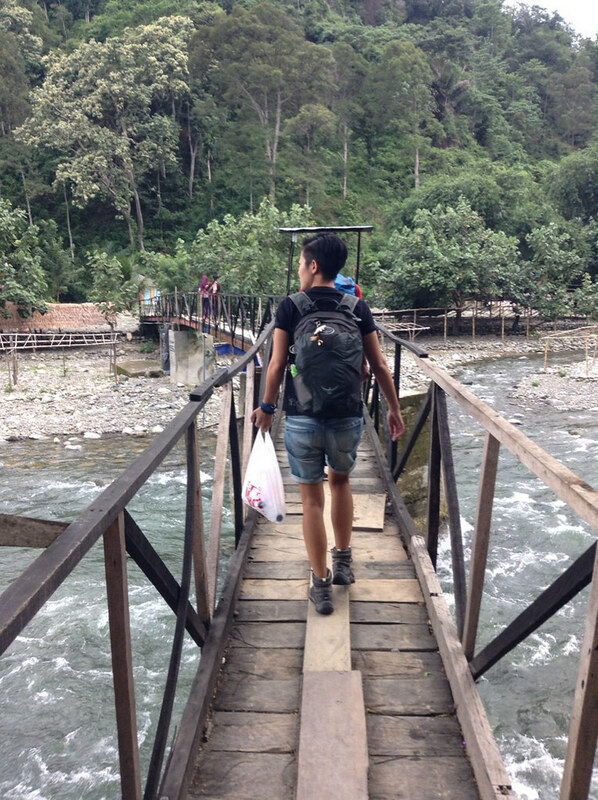 This is how we got to Bukit Lawang. 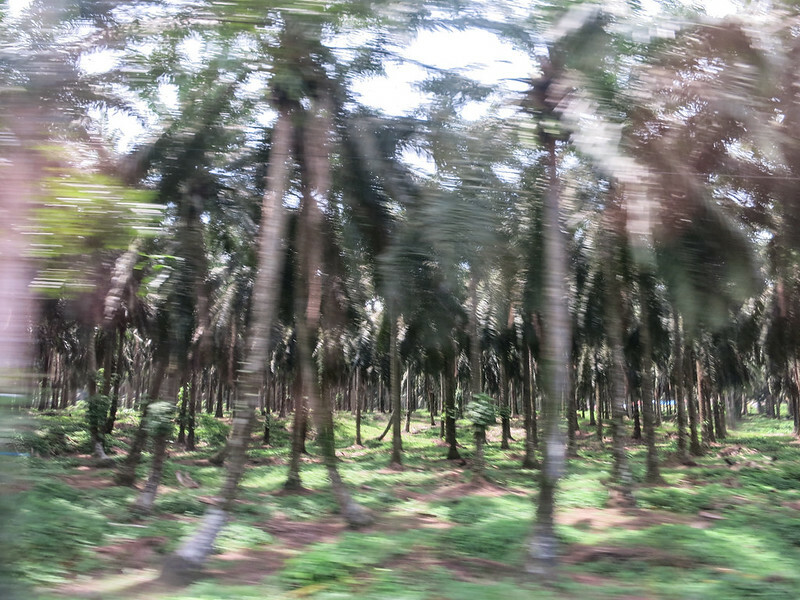 Palm oil plantations, mostly owned by Malaysian companies. Driving through the plantations in our swaggerwagon. 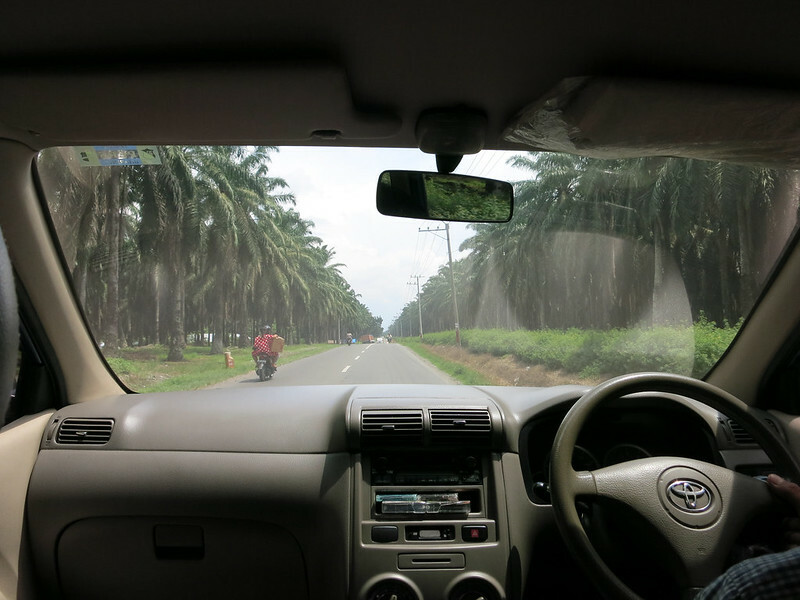 We passed Malaysian palm oil plantations and arrived three and a half hours later in a small town split in half by a river. This would be our home for the next five days, complete with a cold shower and no AC. Our cold shower out in the wild. Just kidding. 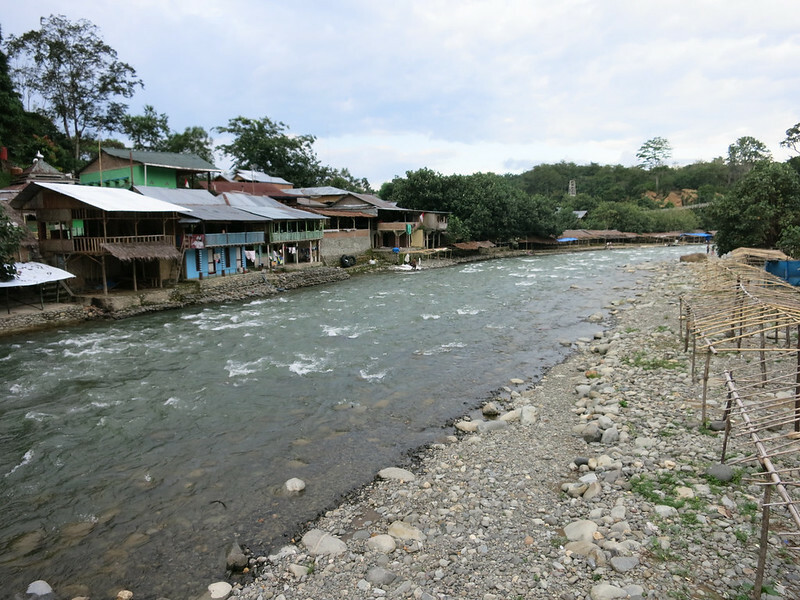 Crossing the river to get to our guest house. Guest houses and restaurants along the shore.